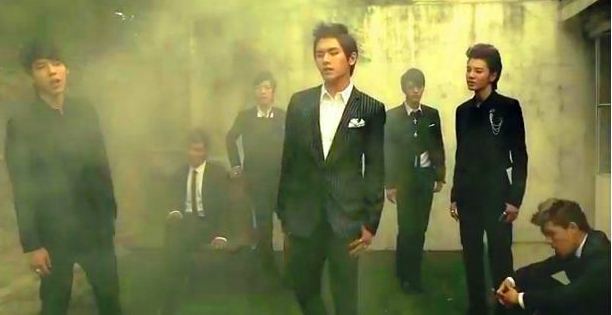 Infinite reaches out from beyond the grave in their new music video. Infinite (∞) debuted with “Come Back Again,” but I didn’t hear about them until this year when they released “Before the Dawn (BTD),” which featured the awesome scorpion move. They followed that up with “Be Mine,” another lovely song with a dance that flowed well with the beat. And now we have “Paradise.” I actually liked this song before the chorus; it has an otherworldly, dramatic feeling, and once I heard that haunting melody I fell in love. I love love love the chorus and the “Paradise, oh oh” part. Seriously, who is writing Infinite’s songs? All the ones I’ve heard have been awesome! There are a total of three English words in the entire song: “paradise” in the chorus (pronounced very well) and “hopeless world” in Dongwoo’s rap (pronounced not so well). So at least the title is good. In “Before the Dawn,” Woohyun and L try to escape from an evil vampire coven or something by beating the crap out of their captor and each other. In “Be Mine,” Infinite drag a girl to a crime scene that plays classic romantic films while bullets fly through the air, ripping everything to pieces. 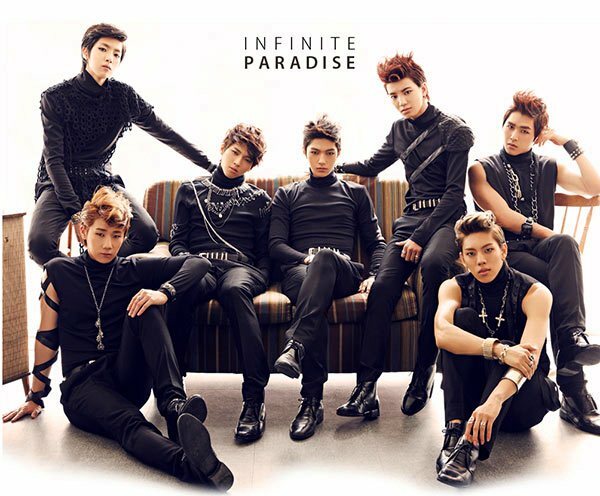 And I guess all the Infinite members were hit with bullets, because in “Paradise” they’re all ghosts. But while the premise is a tad melodramatic, the execution of that concept is actually nicely subtle. I have only a few personal experiences with loss, but it seems to me that way grief is handled in this MV is fairly realistic: the girl finds that just going about her daily life requires effort. She has to physically leave the house and go into the garden for some peace. It’s more understated than I’m used to with Korean music videos—and probably most music videos in general—which usually prefer overblown emotions (the single teardrop, the anguished expression) to restrained explorations (just walking around, dragging items from one room to another). Even getting off the table takes too much energy. The dark tones, the shadows, and the way the members are sprawled out quietly watching this girl handle the process of grieving all complement the song’s evocative qualities so well that it’s hard not to at least appreciate the concept. We basically have a woman (with great shoes, by the way) walking through her house looking blank and covering up the furniture, interspersed with scenes of all the Infinite boys on a train or standing in her misty garden or creepily following her through the house, walking in front of her, or lying on the floor where she will step on their ghosts. So clearly the Infinite members are dead, and maybe they dated this woman in the past or something and are now watching over her while they are on the train waiting to cross over into heaven—oh, sorry, paradise. 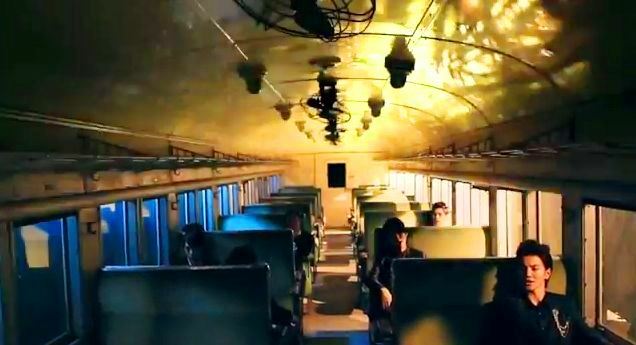 In the end, I’m guessing that the train is empty because they have truly passed on. There was no dance! *cries* However, I’m sure they will soon release a dance version of the music video because there is a great dance in the live version. And here is a dance practice version! Yes, they do—however, as a new fan of theirs, it is really difficult to learn their names just by watching their music videos! The shots are all dark, at extreme angles, and focusing on other things than the members’ faces. I know the other day I was complaining that SM Entertainment music videos are all formulaic, but this is a time when those standard sets and high-definition closeups would come in handy, because I had the hardest time learning Infinite. New groups need to take a hint from U-KISS and color-code their hair, at least for the first few MVs. You can be edgy and dark once people know who you are. I don’t know why, maybe because they’re easy to pick out of a lineup, but when I first learn about bands, I tend to choose the prettiest member as my “bias,” the one my eye is drawn to, and so maknae Sungjong stood out for me here. It doesn’t hurt that he looks vaguely like SHINee’s Taemin, whom I adore, or that he was often focused on during my favorite lines in the chorus. Just because I like maknaes doesn't make me a pervert. 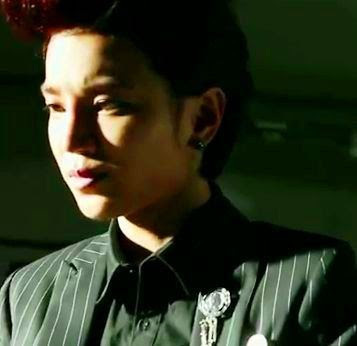 I also really enjoyed Dongwoo's rap part, and he has a distinctive look going as well. Dongwoo's rapping literally brings girls to their knees. Yes, I do. It’s both catchy and mysterious, and I like that! Infinite is on a roll here. Well done. Now release something that can help me learn your names (other than Mnet’s “Sesame Player” Season 2, which I can’t wait to watch!). I can't wait for the dance version! They have wonderful choreographer who makes highly synched dances for them, and they execute them well! To be quite frank, they are my new love. They sound good live and their rappers can sing! (ok, except Sungyeol) Hoya has some singing lines here, niiiice! I'm watching it! Thank you for reccing it! So far there is a lot of running from the managers, haha, but sooo entertaining, seriously! I'd be curious as to your favorite members...I'm still liking Sungjong and L so far! 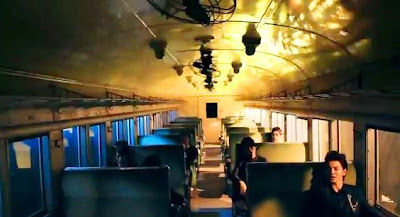 I never thought of the train as a so called 'stairway' to heaven until you said that XP Maybe it was because I read an interpretation on youtube but, yeah. Ooh, I'd be interested in how the other person interpreted the video. I read somewhere an interpretation that the girl was moving out of the house where all her memories of them were, but the boys didn't want the girl to leave because she was their paradise, and if she left the house, they would have to leave too. I thought that was an interesting interpretation, but also kind of...I don't know, sinister? Because it implies they don't want their girlfriend to ever move on from them because they themselves don't want to move on. And that's not exactly the emotion I was getting from the MV. Though everyone is clearly unhappy. Re varieties: if you liked SuJu in Explorers, find and watch 2 episodes of Intimate Note with them. It's hilarious, especially the ending part. A while ago I think I saw Heechul and...was it Eunhyuk? Together in a tent or something? And they thought it was two other people, but actually it was them? Clearly I need to watch them again...I think this is a link to part 1: http://youtu.be/FsTjqM5Nm5g. do u know who is she ?? ahhh,, i really loved Sungjong's part too ^_^btw, im Indonesian Inspirit,, nice to meet u here ! !